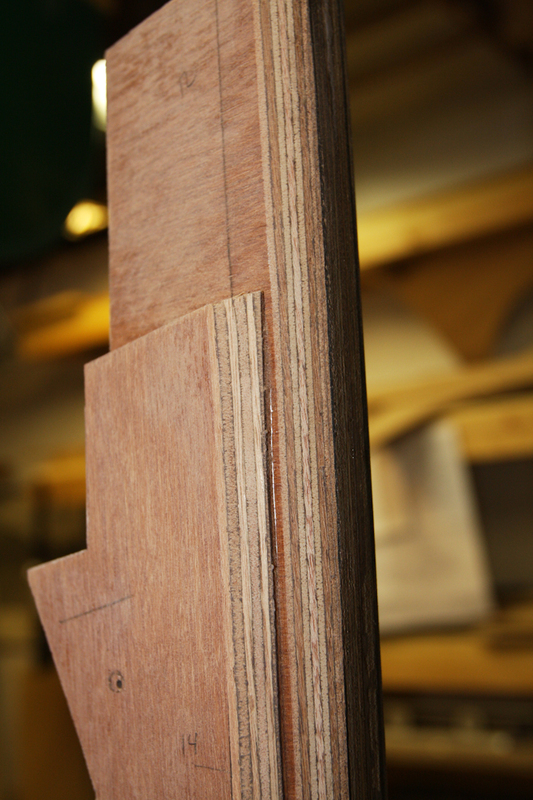 As I started to cut some thin strips of Mahogany I discovered I did not have a tool capable of doing a decent job. I tried to avoid buying even more tools then I already have but the need for a band saw became apparent. I looked into new, but decided to find a better quality used on Craig’s List. While I didn’t find any top of the line band saws for sale this week, I did find a good buy on a Craftsman band saw along with a table saw and jointer/router at a very low price. I picked up all three for 1/2 the cost of a new low end band saw. Working on the Stem bevel. 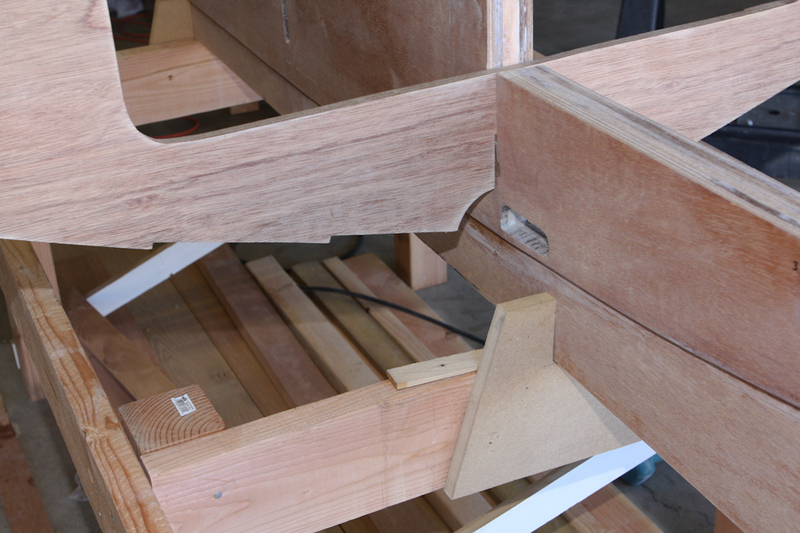 Here is a detail of the building jig and bracing holding the keel in place. 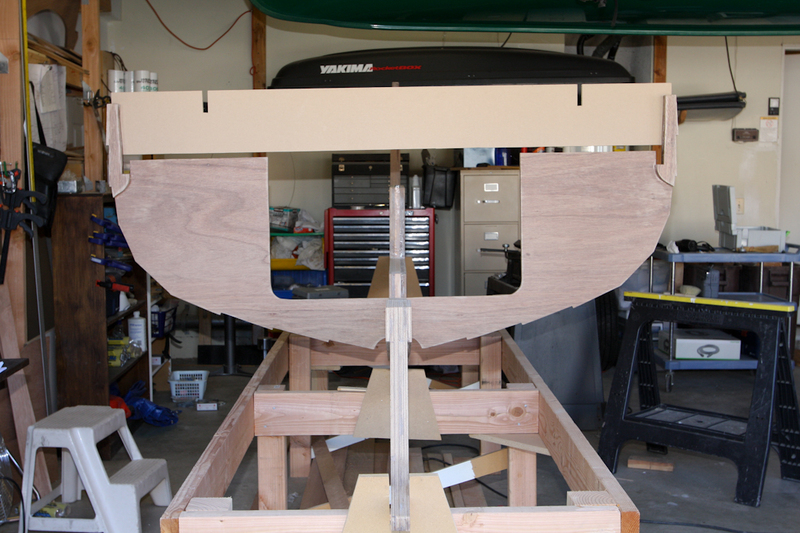 Dry fitting of the transom assembly. A small dremel tool routed out the cut outs for a tight fit. Clear view of building jib and a bulkhead with cross spall attached. No use for this yet, but for $80 seemed reasonable to buy too. This week I completed by new building jig, purchased my new “used” tools, and did a fair amount of sanding and shaping. Here are some close up photo’s of the work in progress. 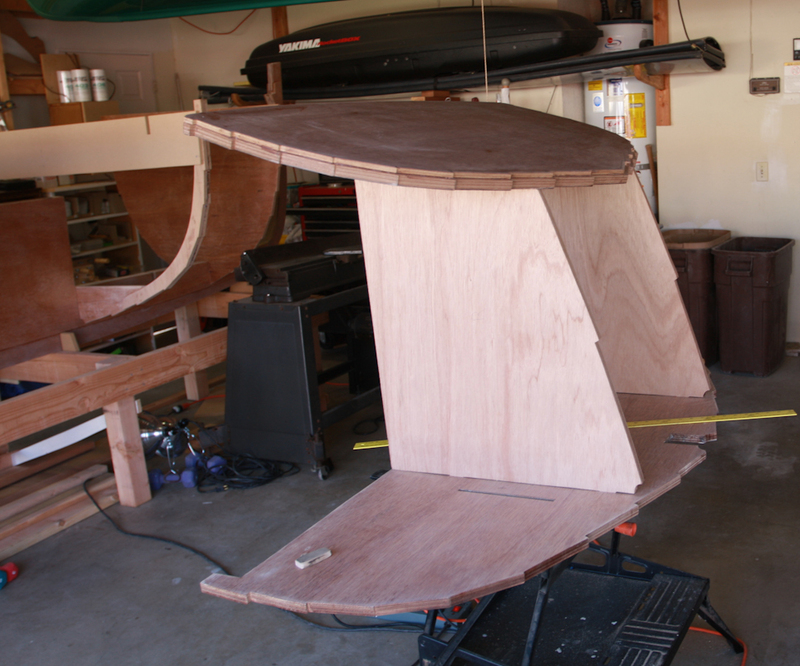 I also started work on the Transom assembly. I can’t wait to see it live on Turkey Day.